DDR3 memory manufacturers face a quandary at the moment. The ubiquitous nature of the product means that competing at the volume end of the market - dual-channel memory running at 1,600MHz - leaves little room for profit margins and customer support. Heck, once everyone in the production-to-retail chain has had their little slice of the profit pie, and there are many hungry mouths, just how much money can a manufacturer make from an 8GB kit retailing for under £30? But these same manufacturers tend to be lambasted for releasing super-high-end kits, which show little real-world improvement over significantly cheaper memory and, by their very nature, are limited-supply runs. 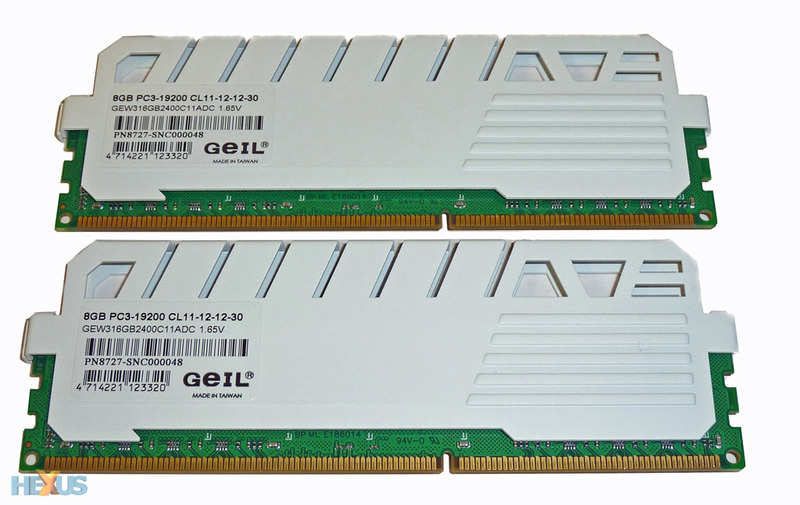 Taiwan-based GeIL believes that having premium memory reviewed serves at least two purposes: it provides enthusiasts with the best products to put into esoteric systems and, should performance be stellar, offers a halo product that evangelises the technical prowess of the firm. In a perfect world, then, halo products help sell mainstream kits. 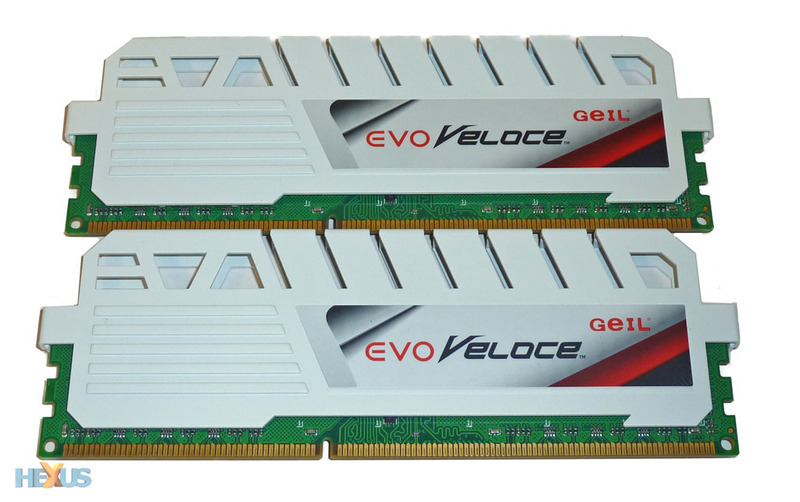 GeIL's EVO Veloce dual-channel DDR3 memory is that halo product, and it spans quite the range, running from garden-variety DDR3-1,333 to a blistering DDR3-2,800MHz. Yup, there's something for everyone here. There are a surprising number of variations on DDR3-2,400MHz memory in the EVO line,	too, with five different timing options and two capacities. Truth be told, there are simply too many parts available, confusing the enthusiast. Here is how they stack up against one another, and remember that all kits are available in 8GB and 16GB dual-channel packs. GeIL plays around with the timings, nudging a clock cycle down here and there. Lower figures generally denote better performance, but such is the quality of the integrated memory controllers on modern CPUs, that choosing between the 'best' and 'worst' EVO Veloce modules won't show much of a real-world difference. We have in a 16GB dual-channel pack (2x8GB) running at 2,400MHz, finished off with a special-edition, white heatspreader. The pack takes in 11-12-12-30-2T timings and, surprisingly, is the lowest-specified model from the quintet, as shown by the table. The modules' snazzy heatspreader faces an aesthetic battle against the green PCB... and loses. We'd much prefer GeIL to use a black PCB that would juxtapose nicely against the white 'spreader. For those who have a distaste for all things white in a PC, the same kits are available with red heatspreaders. The modules' 46mm height makes them significantly taller than regular sticks, so do make sure they fit into your case and don't obstruct any nearby cooling. Much like the competition, GeIL uses two aluminium heatspreaders that come together by folding over each other at the top, though build quality is such that the merest hint of pressure causes the upper heatspreader to move about. Flick them over and the story is much the same. Do note that, as the label indicates, getting these puppies up to speed requires an operating voltage of 1.65V, which is the highest we'd tune the chips' integrated memory controller to. Now comes the section which always causes a few eyebrows to be raised. This kit currently retails at £130, which while hugely expensive when compared to generic RAM, is actually competitive against other modules of this ilk. For example, ADATA's same-sized pack, albeit at a lower speed, costs more. Designed primarily for high-end Intel platforms - Z77, X79, etc. - and outfitted with XMP timings to boot, GeIL provides the usual limited-lifetime warranty. Lots of show and too much dough? Let's find out by strapping them to our Core i7-3770K-based Z77 platform.